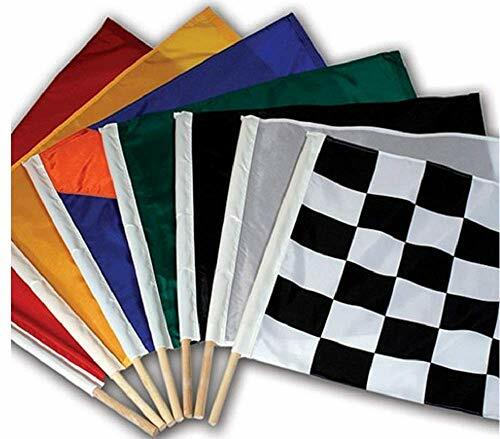 Our Junior Racing Flag Set consists of 7 oval track racing flags made of thick 200 mil denier nylon and mounted on 30 inch wood poles which are 1/4 inch in diameter. 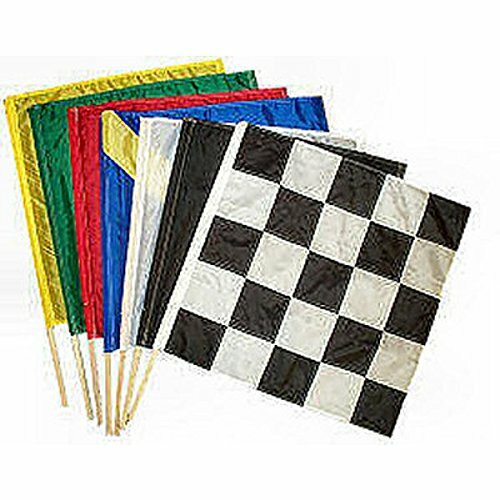 The Racing Flag Junior Set includes 15x15 inch flags in Green, Yellow, Passing, Black, Red, White, and Checkered. 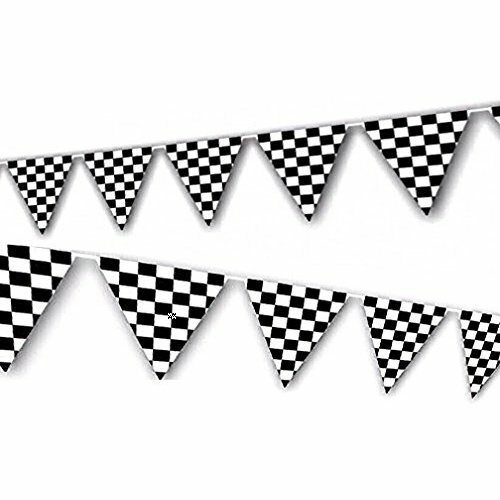 As an added bonus, the Checkered flag is richly embroidered instead of printed for a quality look. 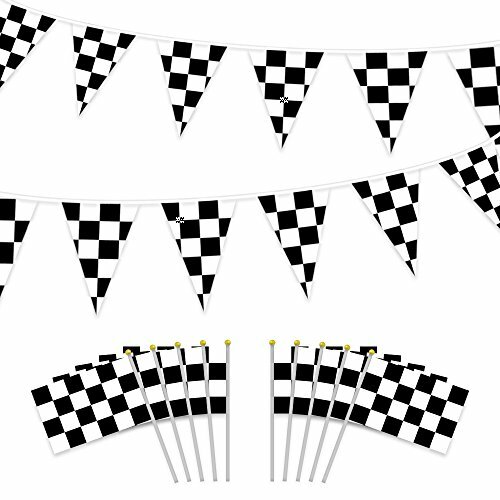 All flags in our Racing Flag Set are viewable correctly on both sides. 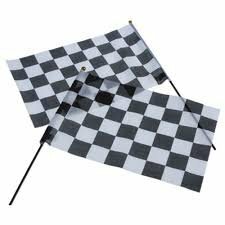 Racing flags with a size of 4" x 6" on a 7" plastic stick. 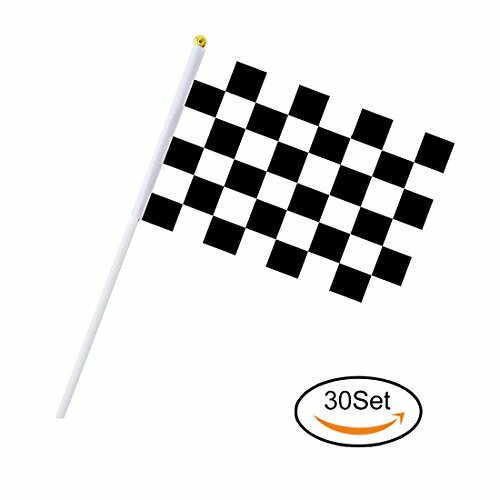 Manufacturer recommended age: 3 years and up. 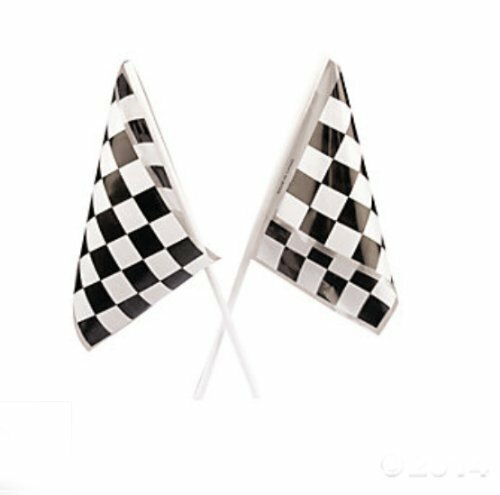 4" x 6" on a 7" plastic stick. (6 dozen). 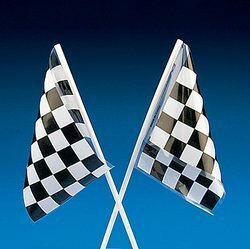 Size: 15" x 15"15\" x 15\"